Since having children I find nostalgic things and throwbacks so exciting. I love showing my littles the shows I used to watch and letting them play with toys I used to play with as a child too. I love seeing my children’s faces light up when I’m showing them things Mummy or Daddy used to love when we were little - I just love nostalgia. 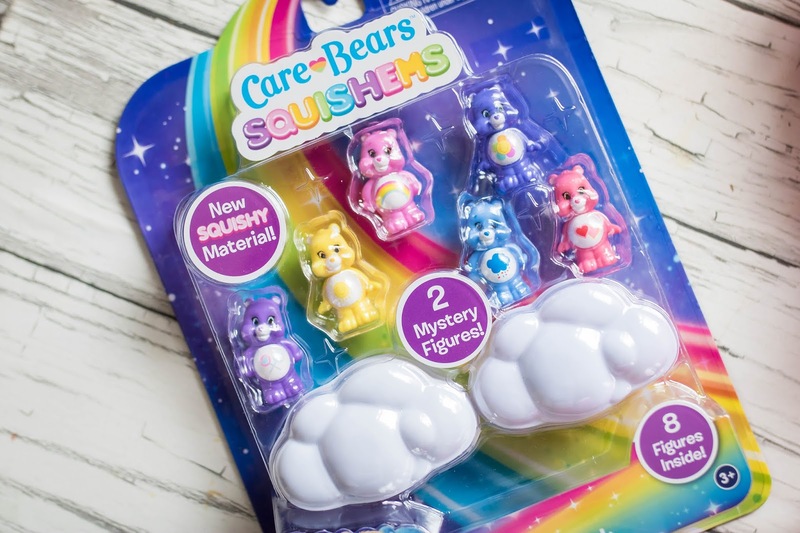 When there was mention of working with Care Bears on their care box campaign I just couldn’t walk away. 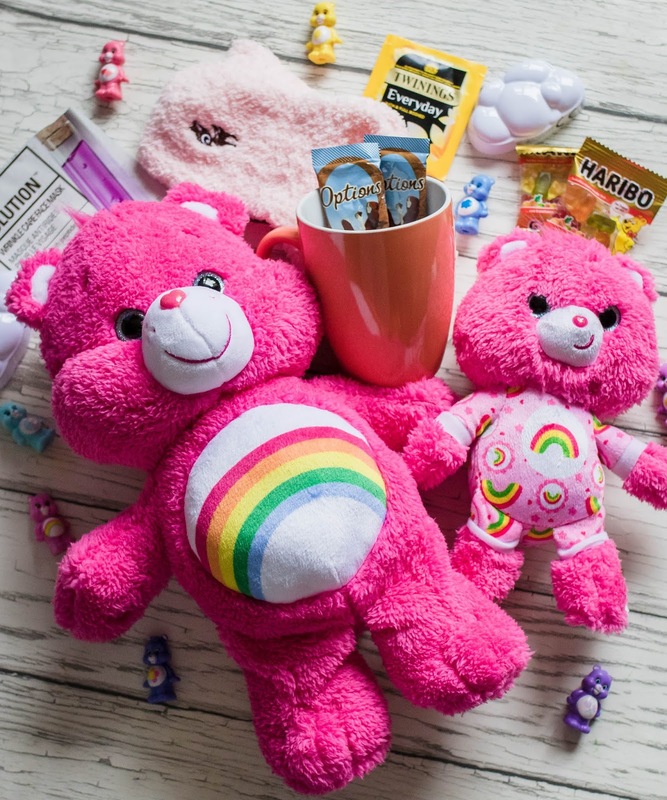 I remember sitting there reading the stacks of Care bear comics in my cupboard and having a huge love for these colourful bears. 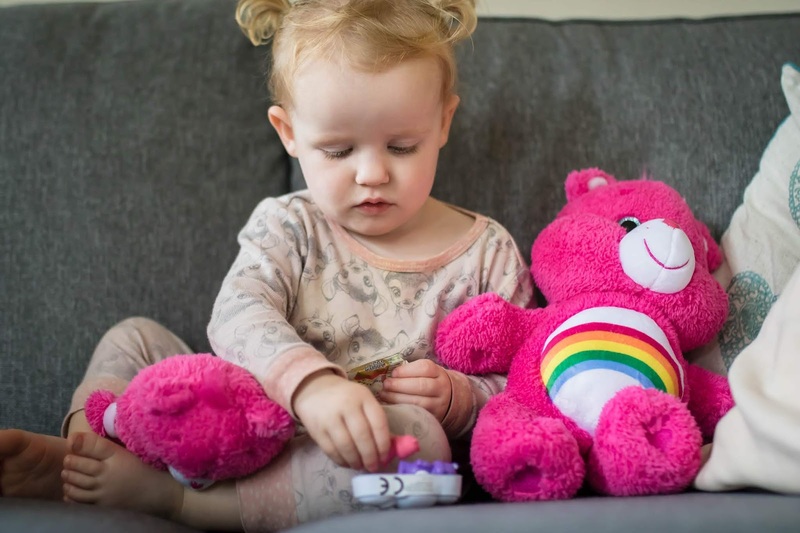 Iris loves the Care Bears, this is of course influenced by me and this campaign but as a lover of teddies, rainbows and toys, it was her favourite things rolled into one. 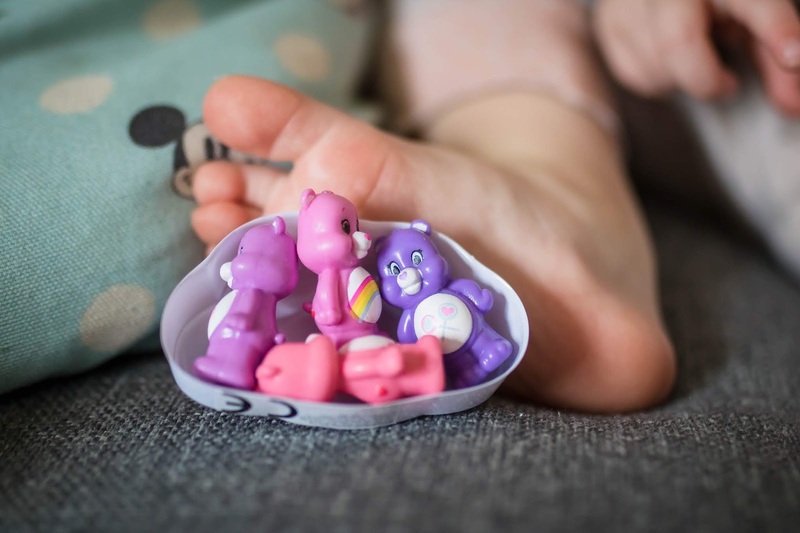 When we received the Care bear collection - take care of yourself! Box it was at the best time. The weather changed to the rainiest day, Lucas gave me his cold and having a weaker immune system at the moment I’ve got off worse, so when Lucas was at school, Iris and I settled down with the Care Bears on TV, hot chocolate, pyjamas and snuggles, with each other and Iris with the bears. Sometimes I forget about how important self care days are. 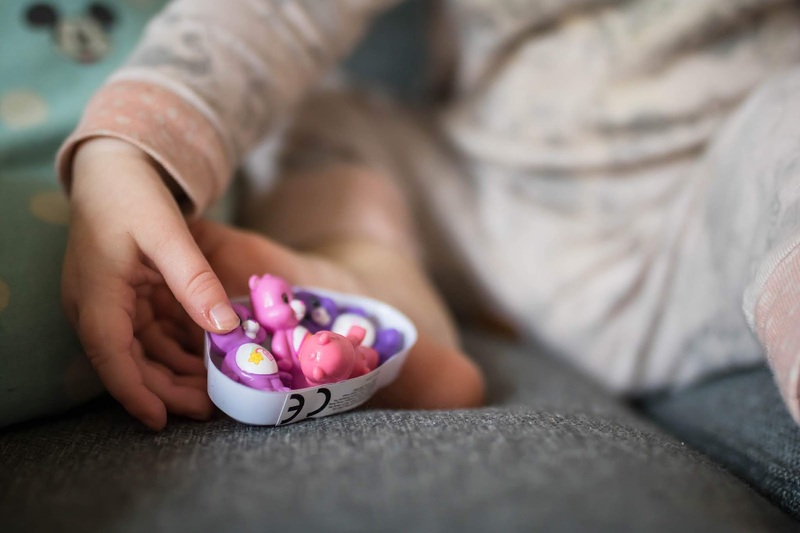 We spend so much time fretting about getting the kids out of the house to play, the park, feeding the ducks, long walks, ect... that we sometimes forget that a self care day is just as lovely, fun and important. Sometimes we need comfort and cosy days, especially now Autumn/Winter is on its way and those chillier days where not everyone feels 100% and the thought of venturing out into the chill is off the cards! I think my favourite part about receiving this package is seeing Iris taking her Care bear plushes up to bed, watching her play with the little characters and just watching her re-live my childhood and it makes me so happy. I cannot express how lovely it is. To some this may seem silly but its my favourite thing to do! 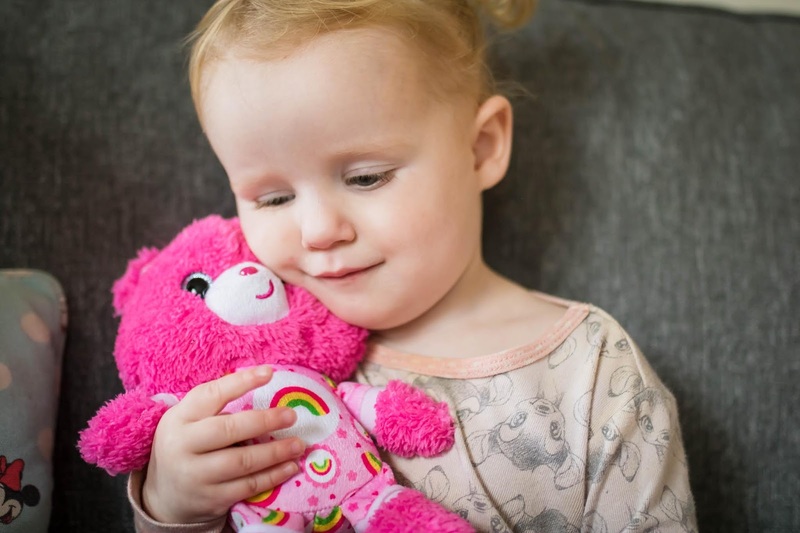 The Medium plush cheer bear is super duper soft, colourful and the perfect gift for any little boy or girl who loves teddies or care bears, and well, it's also the perfect gift for any grown up who loves care bears too. 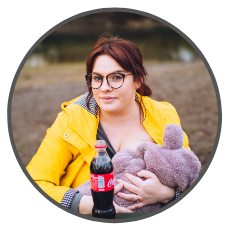 The cub is perfect for Iris' age as it's a lot smaller and Iris referred to it as "baby bear" which is super cute. 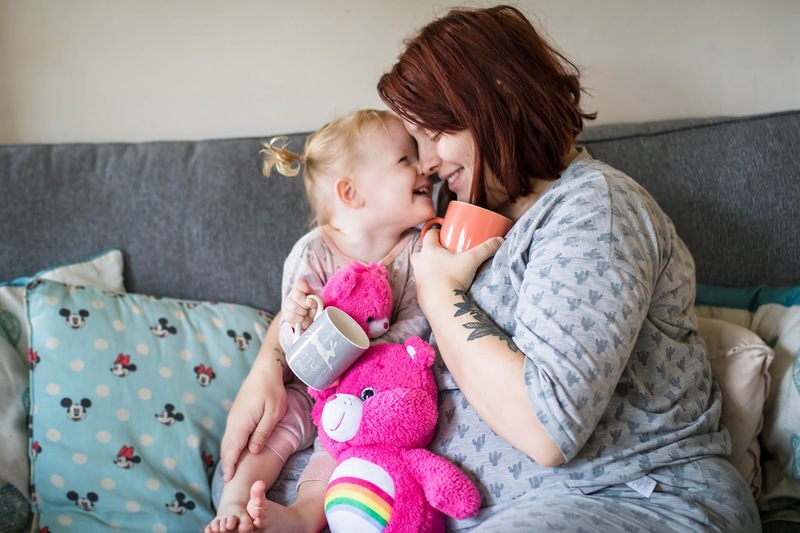 It's got the cutest little bedtime outfit on and is super soft, they make the best bedtime pal for kids. Finally the squishems are one of my favourite items, Iris has been playing with them in her castle and making them talk, i'd be lying if I said that "GET THEM OUT OF YOUR MOUTH" wasn't one of my most used phrases whilst both Lucas and Iris play with them, but they haven't got teeth marks in and they're not missing heads, so they're made pretty well. I just hope they stop for the sake of my sanity regarding choking hazards! HAHA! This is not a care bear issue though, this is my problematic children with obsessions of putting things in their mouths. 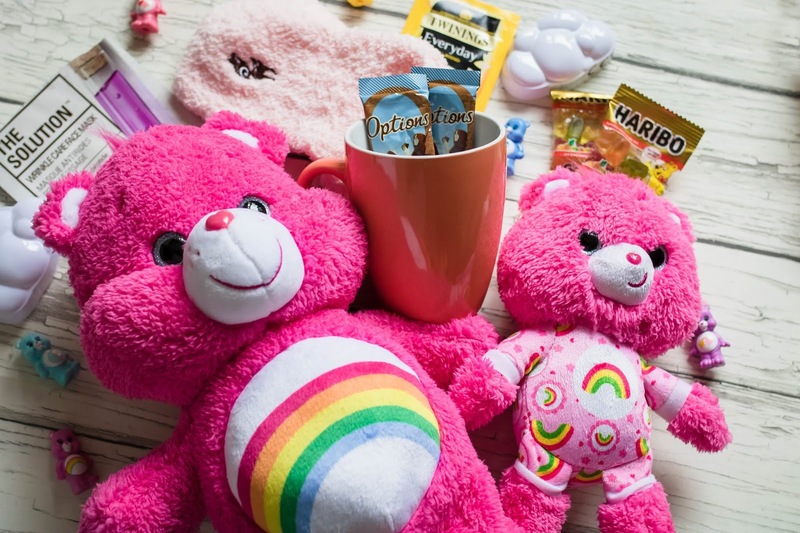 The care bear cub from Asda and Amazon for around £7.99 and the squishems from Amazon for around £14.99.